This 2 star hotel is located in the city centre of Holbrook and was established in 1986. It is 34.0 Km from the Petrified Forest Natl Park. 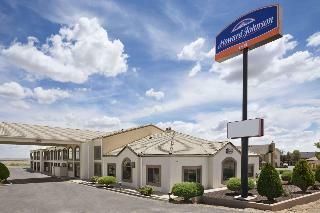 Take your family on an adventure in eastern Arizona and make our Howard Johnson Holbrook hotel your lodging choice. We are conveniently located on Historic Route 66 near I-40, with easy access to the beauty of the Painted Desert, the ancient wonders of the Petrified Forest, and the legendary lands of our esteemed Navajo and Hopi peoples.